For the protection of plants Industrialchimica has developed special formulations of mastics for grafting and ready-to-use glues with a barrier effect against harmful insects crawling up the trunk, both for amateur and professional use. 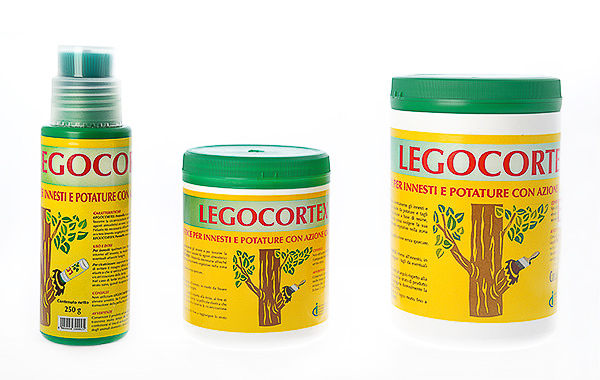 The mastic is easy to apply and guarantees effective protection against bacterial or fungal infections that might attack cuts due to pruning, small grafts or accidental cuts, thanks also to the use of particular vegetable additives that are not harmful to plants. The glue, to be applied on trunks, does not contain or require any solvents and has been specially designed for professional use. Mastics and glues are available in various formats, from a 200 g bottle with a brush for H&G use to the 5 kg bucket for professional use.